The discovery of numerous large ice structures within Antarctica’s Dome A region, the site of the buried ‘ghost mountains’, reveals new understanding about ice sheet growth and movement that is essential for predicting how the ice sheet may change as the Earth’s climate warms. Reporting this week in the journal Science a six-nation group of scientists studying the Gamburtsev Subglacial Mountains describe how these remarkable structures form. Typically ice sheets grow when layers of snow are deposited on the surface, but the researchers found startling new evidence of growth at the base. Widespread re-freezing of large volumes of water to the underside of the ice sheet modifies its structure. 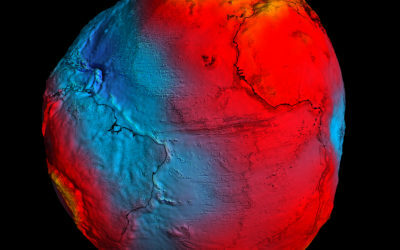 In some places this process can account for up to half the ice sheet’s thickness, and the growth caused by refreezing may be comparable to that occurring at the surface. 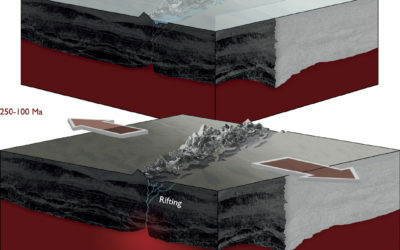 The Antarctica’s Gamburstev Province (AGAP) project – one of the most ambitious, challenging and adventurous ?deep field? 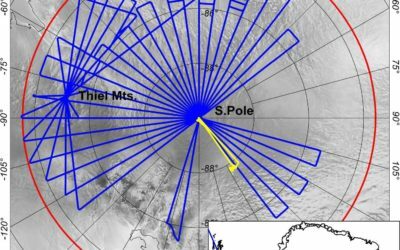 Antarctic missions of the International Polar Year – has captured the first clear picture of the mysterious mountain range discovered by Russian scientists 50 years ago. The Gamburtsev subglacial mountains are thought to be the birthplace of the vast East Antarctic Ice Sheet that covers 10 million km2 of our planet. The enigmatic Gamburtsev Subglacial Mountains lie buried beneath as much as 3 km (two and a half miles) of ice. An international team mounted an ambitious field campaign to investigate the ice sheet and what lies beneath during the International Polar Year (2007-09). 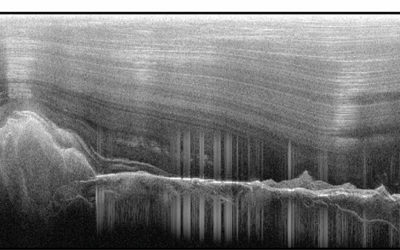 “This International Polar Year study provides a unique view on the interactions between subglacial water and ice sheet structure in East Antarctica. Understanding these interactions is critical for the search for the oldest ice and also to better comprehend subglacial environments and ice sheet dynamics. Incorporating these processes into models will enable more accurate predictions of ice sheet response to global warming and its impact on future sea-level rise”. The refrozen structures form because the vast Antarctic ice sheet acts like blanket trapping geothermal heat from the Earth beneath. This heat, combined with the great pressure from the overlying ice allows ice to melt at the base. When under the ice this water can be pushed uphill, towards mountain ridges where the ice sheet is thinner. This thinner and colder ice refreezes the water, creating the spectacular structures observed close to the base of the ice sheet. The researchers theorize that this process explains the re-frozen structures appearing at the heads of valleys beneath the ice sheet. This new ice at the base pushes older ice closer to the surface, making the ancient layered record of climate embedded in the ice easier for researchers to reach. The refrozen ice accounts for up to 24% of the area of the ice sheet base around Dome A, the top of the East Antarctic ice sheet. The scientists suggest that this process has been going on since East Antarctica became encased in a large ice sheet 32 million years ago. Researchers now will now look into how refreezing affects the margins of the Antarctic and Greenland ice sheets, where the most rapid change is occurring. The paper – Widespread, Persistent Thickening of the East Antarctic Ice Sheet by Freezing from the Base – is published in Science by Robin Bell, T. Creyts, Indrani Das, Nicholas Frearson and Michael Wolovik from Lamont-Doherty, part of the Earth Institute at Columbia University; Fausto Ferraccioli, Hugh Corr, Thomas Jordan and Kathryn Rose of the British Antarctic Survey; David Braaten of the Center for Remote Sensing of Ice Sheets at Kansas University; Detlef Damaske of the Bundesanstalt fur Geowissenschaften und Rohstoffe in Germany; and Michael Studinger of the Goddard Earth Science and Technology Center at the University of Maryland and the NASA Goddard Space Flight Center in Maryland. 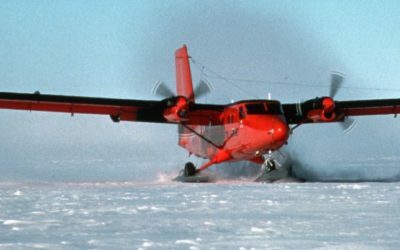 For around two and a half months two science teams carried out an aerogeophysical survey of Antarctica’s Gamburtsev Province (AGAP). 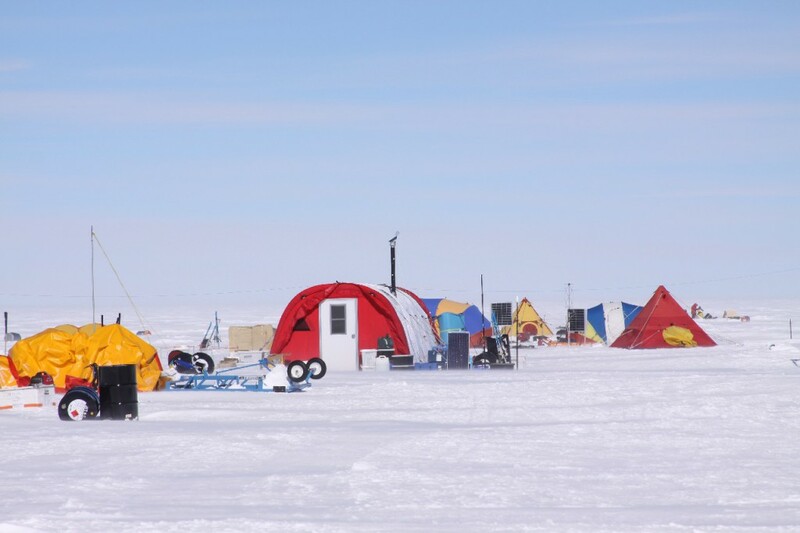 The British Antarctic Survey (BAS) – Australian Antarctic Division teams worked from one of the deep-field camps known as AGAP North. The US-German-Japanese science teams worked from AGAP-South. The work was funded by grants from the National Science Foundation and was launched in conjunction with the International Polar Year, an effort to study the Arctic and Antarctic spanning 2007-2009 and involving research by thousands of scientists from more than 60 nations. Support also came from the Natural Environment Research Council of Britain and the British Antarctic Survey, the Federal Institute for Geosciences and Resources in Germany and the Polar Research Institute of China. International Polar Year 2007–2009 was the largest coordinated international scientific effort for 50 years. Featuring more than 200 Arctic and Antarctic projects, IPY involved 50,000 people – including scientists, students and support staff – from more than 60 nations. Together, they set out to discover more about the Polar Regions and their critical influence on the rest of the planet.